That is how many infrastructure categories out of the 16 total evaluated by the American Society of Civil Engineers in their quadrennial analysis of US infrastructure received a great of D+ or worse. Roads received a grade of D, for example. Bridges, however, fared a bit better, receiving a grade of C+, while the best grade overall was the B grade assigned for US rail infrastructure. We'll note in passing that rail infrastructure is almost totally funded by private investments from the carriers, unlike almost every other category. Ports also received a grade of C+, but inland waterways received the worse grade of any category, at D-, just above an F. The overall grade across all categories was a D+, the ASCE says. Since 1998, grades have been near failing and averaging only Ds, due to "delayed maintenance" and "under investment across most categories," the engineers said, in another dour report, as everyone waits to see the unveiling of President Trump's infrastructure plan. That is how many natural gas powered trucks UPS says it now operates worldwide, as the company announced plans this week to invest another $90 million in natural gas vehicles and infrastructure. The parcel giant said it plans to build an additional six CNG (compressed natural gas) fueling stations and add 30 new CNG tractors and terminal trucks, as well as 50 LNG (liquid natural gas) vehicles to its alternative fuel and advanced technology fleet. 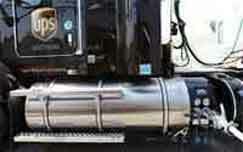 Last year, UPS invested $100 million in CNG fueling stations and vehicles. The company currently operates 31 CNG fueling stations in Alabama, Arizona, California, Colorado, Georgia, Kansas, Kentucky, Louisiana, Nevada, Oklahoma, Pennsylvania, Texas, Virginia, Tennessee and West Virginia. It runs CNG vehicles in 38 US states plus Germany, the Netherlands, and Thailand. With the announcement, UPS said that in 2016, it used more than 61 million gallons of natural gas in its ground fleet, reducing CO2 emissions by 100,000 metric tons by replacing diesel and gasoline fuels with lower emissions natural gas fuel. That is by how much manufacturing employment grew between 2011 and 2016 in the 22 states that had Right to Work laws as of 2011, according to data released by the Labor Department on March 13. That's roughly double the percentage increase for the 24 states where compulsory union dues were still permitted in 2016. Perhaps surprisingly, 2015 average annual compensation per Right to Work state manufacturing employee was $76,454, roughly $3,800 higher than the average for states that still lacked Right to Work protections in 2015. Early this year, Kentucky and Missouri became the 27th and 28th Right to Work states. There are active efforts in both New Hampshire and Ohio to change to Right to Work status as well. Employment in Right to Work states exceeded that of non-Right to Work states by 200,000 inn 2016, and that was before the changes in Kentucky and Missouri earlier this year. 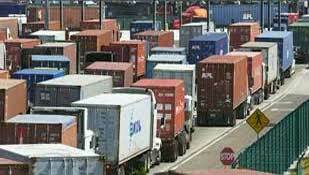 That is all the pay that drivers for truckload carrier Celadon make in their first year on the job, according to a recent article in The Atlantic magazine. After the first year, drivers can make over $50,000 annually - still not much for a pretty grueling job that involved many nights away from home. Other carriers are roughly in the same pay range, though some have increased pay in the last two years to address the driver shortage. But in the end, "The job is terrible, and the companies know it," says Steve Viscelli, a University of Pennsylvania sociologist and the author of The Big Rig: Trucking and the Decline of the American Dream, a book for which he spent several months as a driver as part of his research. Carriers sell the idea of being a contractor to drivers with the vision of being their own bosses, but the arrangement often saddles them with unsustainable debt and high expenses, Viscelli notes. Those drivers starting as independent contractors sign lease-to-own deals to purchase their vehicles, often with the carrier. But the contract terms are onerous, Viscelli says, and drivers owe so much that they may end up working 70 or 80 hours a week just to pay back what they owe and cover expenses such as fuel and insurance. It should be no surprise there is a driver shortage, Viscelli says.